This is a scene I see played out often. I always have the same reaction. I saw this scene last week, but with a tricolored heron. And I wondered if they were equally matched so just kept an eye on each other without having to do anything. Given the space the Egret, and Heron, are usually fast enough. However, if they look away for a moment the Alligator will grab them. All the birds temp fate every day. 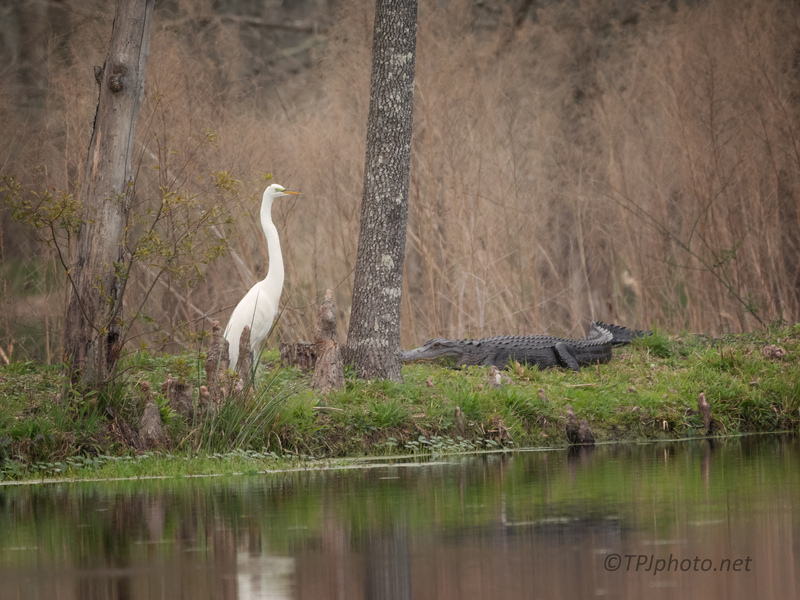 Today I watched an Egret walk in a dense palmetto thicket next to giant gators. If they hungry it was over.